Xiaomi has recently unveiled three new flagship smartphones Mi 8, Mi 8 Explorer Edition and a smaller Mi 8 SE in an event at China. All the Mi 8 brothers are full of surprises and each one comes with some specifications new to the smartphone world. The highlights of the smartphones are a transparent back in the Mi 8 Explorer Edition and a firstly introduced Qualcomm Snapdragon 710 processor in the Mi 8 SE Edition. Also, the Mi 8 comes with a 3D curved glass back. So, three new flagship smartphones are launched and there's a lot to know about the Xiaomi's huge event. And we've noted all the information down here so that you can get to know about the Mi 8, Mi 8 Explorer Edition and Mi 8 SE Edition at a glance. So, let's have a quick look at the three new Mi 8 smartphones. 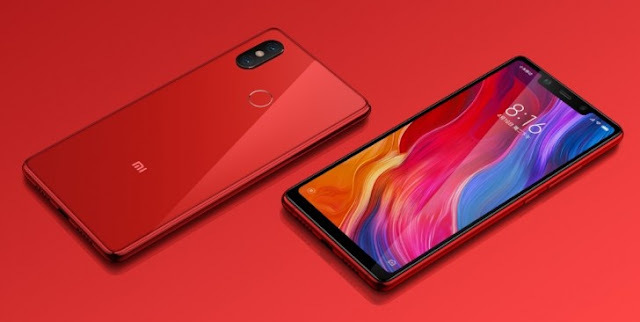 The all-new flagship smartphone Xiaomi Mi 8 comes with a big 6.21-inch Full HD+ AMOLED display with a resolution of 1080×2248 pixels and 18.7:9 aspect ratio. Coming to the design, the smartphone has a glossy body with 3D curved glass back and a notch on top. The phone runs Android Oreo operating system along with MIUI 10. The MIUI 10 update will be available for new Xiaomi smartphones like Redmi Note 5, Mi Mix 2S, Note 5 Pro, etc. Under the hood, the device is powered by a powerful 2.8GHz Qualcomm Snapdragon 845 octa-core processor coupled with Adreno 630 GPU. The handset comes with 6GB RAM along with 64GB, 128GB or 256GB ROM variants. The phone has dual rear cameras with two 12-megapixel and 12-megapixel sensors. At the front, the phone has a 20-megapixel front camera. An infrared lens is also placed on the notch which supports IR Face Unlock. The smartphone has a 3400 mAh battery which supports QC 4+ fast charging. The dimensions of the smartphone are 154.9×74.8×7.6 mm and it weights 175 grams. The phone also has a fingerprint sensor and it supports Dual 4G VoLTE, Dual-frequency GPS, NFC and USB-C type too. The all-new Xiaomi Mi 8 Explorer Edition also has a 6.21-inch FHD+ AMOLED display, Android Oreo operating system, Qualcomm Snapdragon 845 octa-core processor with Adreno 630 GPU, dual 12-megapixel+12-megapixel rear cameras and 20-megapixel front camera which are identical to Mi 8. The dimensions are also same but varying in the weight, the Explorer Edition weighs 177 grams. The Explorer Edition of Mi 8 comes in only one storage variant which is 8GB of RAM and 256GB internal storage. The design of the smartphone include a notch and a newly introduced transparent back. Also, the smartphone has an in-display fingerprint sensor and it also supports 3D Face Unlock. The device runs by smaller 3000 mAh battery supporting QC 4+ fast charging. The smaller version Xiaomi Mi 8 SE sports a 5.88-inch Fill HD+ AMOLED display. Just like its brothers, it also features a notch on the top but rectangular corners which differs from Mi 8. It also runs Android Oreo operating system and MIUI 10. Under the hood, the smartphone is powered by the all-new Qualcomm Snapdragon 710 processor. And Mi 8 SE is the first phone to bear this processor. The smartphone comes in two different storage variants which are 4GB RAM/64GB internal storage and 6GB/64GB internal storage. The handset packs dual 12-megapixel+5-megapixel rear cameras and a 20-megapixel front camera. The device runs by a 3120 mAh battery. It also has a fingerprint sensor placed at the back panel. Coming to the price details of Mi 8 family. The Xiaomi Mi 8 costs CNY 2600, CNY 2999 and CNY 3,299 for 64GB, 128GB and 256GB variant respectively. As for the Xiaomi Mi 8 Explorer Edition, it comes with a price tag of CNY 3699. And the third Mi 8 SE costs CNY 1799 for the 4GB RAM version and CNY 1999 for the 6GB version. At this price and these flagship specifications, the Mi 8 brothers are going to clear their way to the the top in smartphone market.